Iraqi government forces report rapid progress in their push to retake the city of Mosul from ISIL, with the fall of Bartella, a key strongpoint barring the approaches to the city. Eighty insurgents were reported killed and 11 suicide carbombs destroyed during the fighting, which also forced another 5,600 refugees onto the roads to add to the hundreds of thousands fleeing the battle. “The city of Bartella is considered a key line of defence against the advance of our troops towards Mosul, so now we can announce to the people of Mosul that we are on our way,” said Lieutenant-General Talib Shagati. Mosul is emptying of any civilian who can leave, and those that cannot are quitting the under-siege west of the city for the relatively peaceful east. The Red Cross says it believes the battle could create 800,000 refugees, and it has prepared stockpiles of aid to cope. Many refugees could be trapped between opposing front lines. But it seems this fate is preferable to life under ISIL the last two years. “We couldn’t go anywhere. We could only go to a specified place and then return. The women weren’t allowed to go outside unless they were covered,” said one young man. 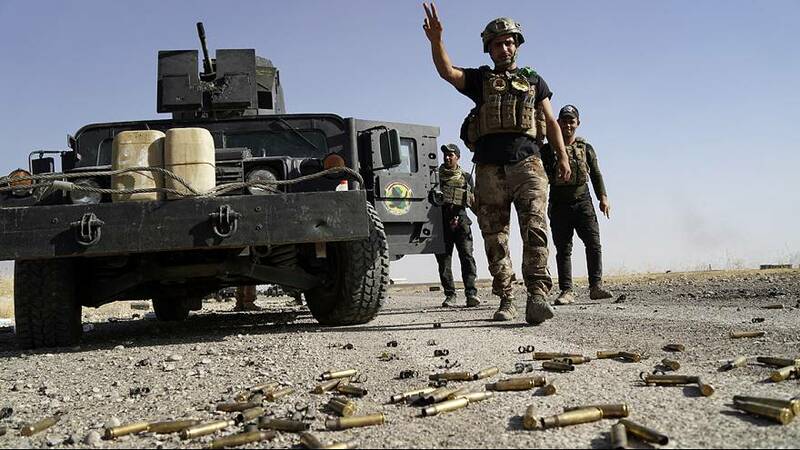 The fears are the many Shi’ite militias fighting alongside government forces will take revenge against the Sunni-dominated Mosul region and other minorities living there, and create new problems for the Baghdad government.